These Double Bub Glass Slides are 9mm and fits to any standard 3 to 4 inch downtube. Cons: -A little top heavy. Pros: I loved this thing. 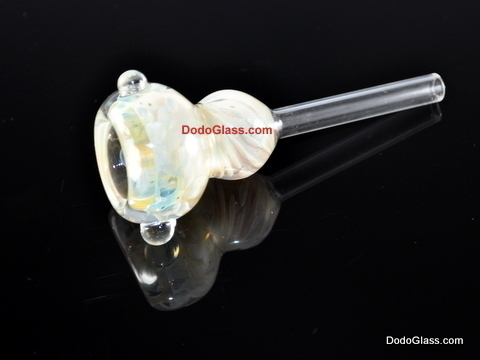 Looks great in any 9mm slide fitting waterpipe. 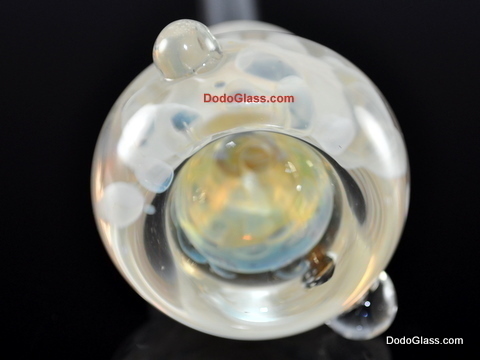 A really well crafted piece of glass that makes your ordinary waterpipe look fancy..
Cons: I dropped mine and it broke. )-: It's a very top-heavy thing because the shaft is so much more thin than the top. Already planning to buy a replacement and be more careful with it.